Background/Info: Welcome to Singapore! 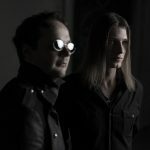 ‘Cosmic Ben’ and ‘Cosmic Jane’ are back on track unleashing the second EP/single taken from the debut album “Contact” (2017). I wasn’t that impressed by this album although it revealed a mature electro-dance production. Content: “Valentine” wasn’t my favorite song featured on “Contact”, but definitely the right song to release around Valentine’s Day. This song deals about ‘the sweetness and sorrow of reaching out and breaking through to a loved one’. 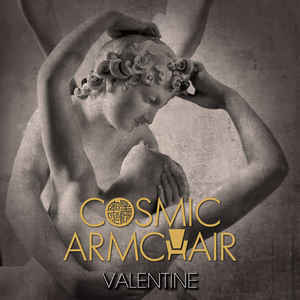 In the end we all know love can be painful although Cosmic Armchair transpose this theme into a sweet- and wafting electro-pop song carried by the fragile vocals of their female singer. We next get a somewhat jazzy-inspired remix by Japanese artist Yoshino Yoshikawa and a more techno/dance minded remix by the Singapore based artist Brannlum. Last, but not least the final song is an acoustic –piano, version of “Falling”, which was the title song of their previous EP and still a song featured on “ Contact”. + + + : “Valentine” is definitely not my favorite song from the “Contact”-album, but I reconciled myself a bit through this EP. It’s a sweet and emotional piece on, which I especially like Cosmic Jane’s timbre of voice. The danceable and techno-driven remix by Brannlum is an interesting version for the clubs. Conclusion: You don’t always need to release the most club/dance orientated title song on an EP. “Valentine” is not a big hit, but a sweet song that feels as a relief in this stressed world. Best songs: “Valentine – Brannlum Remix”, “Valentine”.